Dream. Dress. Play. : Make It Monday! Make A Puppy Bed! Make It Monday! Make A Puppy Bed! 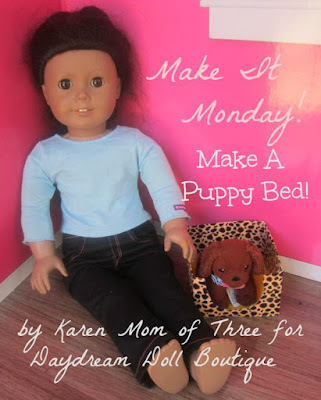 Karen here and for this weeks Make It Monday feature I made a puppy bed for my Our Generation Puppy. 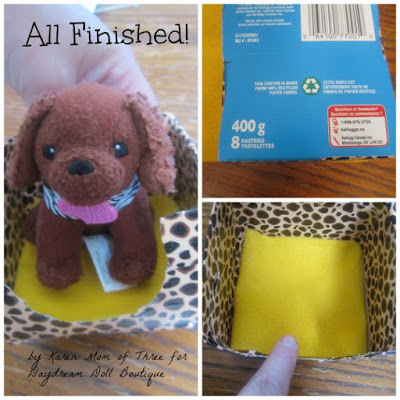 This is a really easy and fun craft you can make for your own dolls puppy or kitty! Step 1- Use a ruler and your pencil to measure 2 1/2 inches up from the bottom and draw a line all the way around the box bottom. Step 2- Cut along the line you created and remove the top of the box. Step 4- Cut out the shape you traced and your box will look like mine. 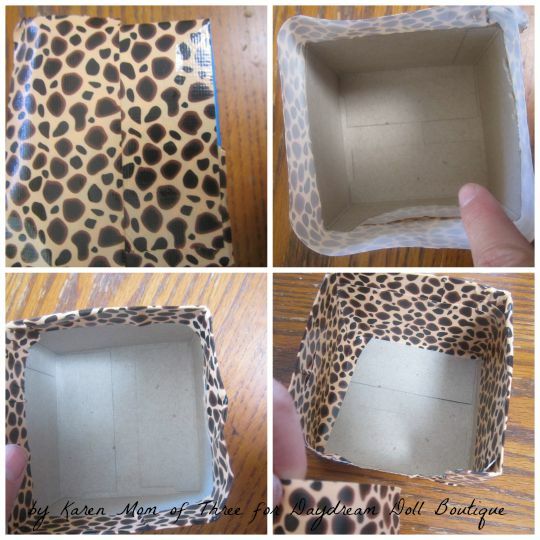 Step 5- Cover your box with duck tape. "U" shape you created and then line the inside of the box with more duck tape. Step 6- trace your box onto a piece of felt and cut it out for the bottom of your pet bed. Place it inside your box and your pet bed is ready to play with! 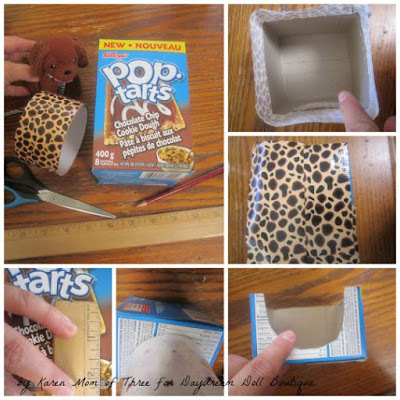 I hope you enjoyed today's Make It Monday Post and I look forward to sharing more crafts with you soon! This is such a cute and simple craft! I love it!